I feel like I am interrupting an intimate fire-side chat at a party by walking into the conversation that Ed has been having over the past year with his newly-minted blog audience. When one makes an awkward entrance, it is always best to make an introduction. 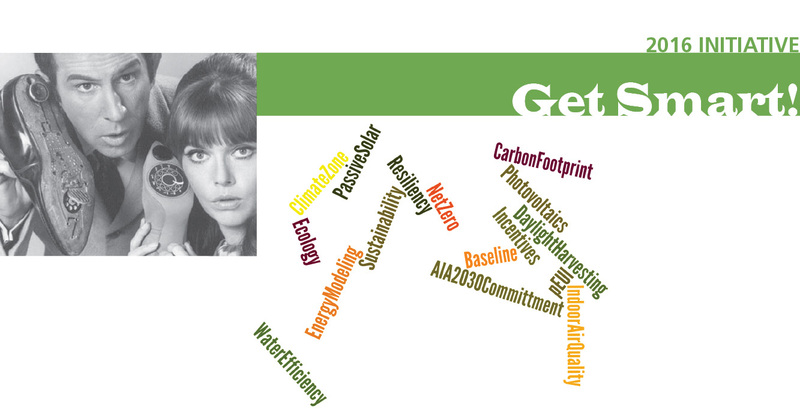 At DiMella Shaffer, I am known as the “sustainability guru” and am the go-to person for questions about LEED, or energy modeling, or what “EUI” means. However, I am only one of many people who share this passion, knowledge and technical expertise in the firm. I’d like to take this opportunity on Earth Day to share with you the initiatives launched by our Sustainability Working Group that was formed in November 2014. We initiated a monthly discussion forum, “Get Smart!,” we reported our first year progress for the AIA’s 2030 Commitment, and we have introduced schematic design energy modeling in our design process. Like relentless ocean waves, we continue to push for positive change in our practice. It has been satisfying to be involved in the process of raising awareness, measuring the impacts of our efforts as a practice, and fueling conversations around sustainability and high-performance design. With the momentum that comes with the excitement of positive change on our side and several initiatives under way, we are poised to build on our history of thoughtful and responsive design. Crash! 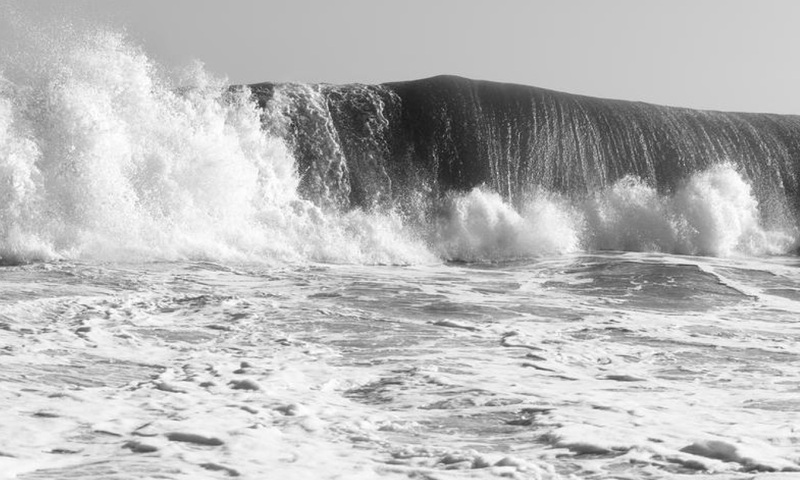 then stillness while the next wave gathers strength. Like the forces at work in the ocean, once a powerful movement begins, the waves following will push forward. As a firm that works in six major markets, we hold a lot of design expertise and collective knowledge in our history of built projects with a broad range of client types. The Sustainability Working Group supports the efforts of the firm by advocating and helping teams set performance goals for every project and by encouraging an iterative and analytical design process. We believe that projects are successful when a design team understands the potential energy footprint of design decision early in the process, seeks environmental opportunities, and thoughtfully considers the community benefits of our buildings in the cities where we all live and work. In January this year, the Sustainability Working Group launched a monthly presentation and discussion forum as a platform for staff education and sharing of ideas on how to improve project performance outcomes while remaining responsive to a client’s project goals. We have screened videos by Architecture 2030, about Boston’s 80×50 goals, recapped COP21’s Building Day events, and presented a comparison of some of our recent wood podium construction multi-family housing projects using Infrared Thermography. These forums have provided an opportunity for us to share lessons learned among project teams that work in different sectors and have sparked many productive discussions. They have also been helpful in creating a sense of purpose in our design efforts towards larger firm-wide goals. The goofy Detective Maxwell Smart and his save-the-day sidekick, Agent 99, from the 1960s TV series serve as inspiration for our “Get Smart!” initiative of monthly education discussion forums. Everyone in the Sustainability Working Group knew that we would need energy modeling software in order to understand the energy impacts of early design decisions in quantitative terms. Over a few months, we studied and discussed which software would serve the firm best in this endeavor. We wanted a tool that we could easily integrate into our design process and that would provide accurate feedback, but not supplant the exhaustive work our building engineers produce. Doug Rand, our Sustainability Working Group chair, introduced the group to Sefaira, and in the fall of 2015, we facilitated the training of twenty “Sefaira Champions” that now understand the potential of the tool. We are working on integrating the use of this tool into every project, and are currently testing it on several projects currently in schematic design. Although energy modeling is not as popular as the chocolate that our office manager puts out on Friday, having this tool to analyze the potential performance of our design decisions and compare alternate schemes early in the schematic process is a big step in the right direction. 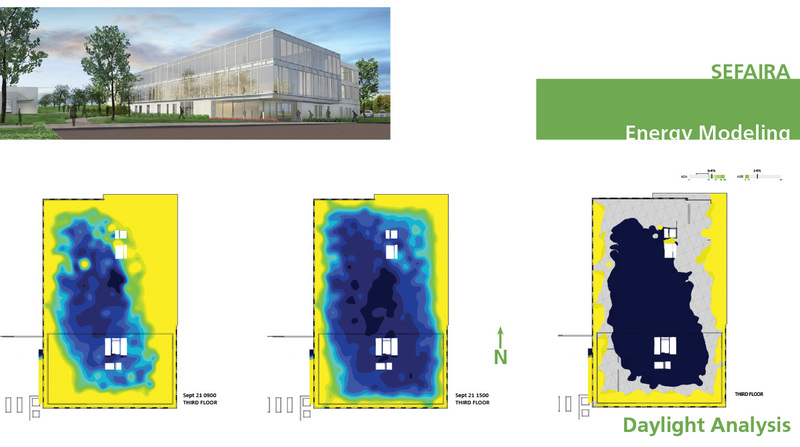 We tested Sefaira’s Daylight tool on a developer building project during Design Development to understand the impacts of an all-glass curtain wall on the north and east facades. In the spring of 2015, the firm principals signed the AIA’s 2030 Commitment as a catalyst for change. This March, the Sustainability Working Group completed the reporting process for the AIA’s 2030 Commitment. Jayne Goethe and Marty McCammon win the award for entering the most projects into the AIA’s inaugural DDx database and are now the resident experts on how to convert MMBTU to pEUI. Taylor Fickett kept us on task for making sure we were honest in our 2015 project reporting and that project use types were entered consistently so we could create informative comparisons between projects. Through this exercise of searching for basic information for each of the projects we worked on in 2015, we discovered many things about our practice and our projects. We are looking forward to sharing what we have learned with the rest of the firm. Through these initiatives, our group has started something transformative here that is gaining momentum. We are passionate about pushing forward the waves of change—watch out for our wake! Very cool. Looks like your Sustainability Group is making great strides in the firm. Happy Earth Day! As someone with a long-term interest in sustainability, I was heartened to learn that DiMella Shaffer has put the firm’s commitment behind introducing sustainability into the early design of projects. This is the only sensible way to make true progress, and my hat is off to the firm for their forward thinking management, and to the sustainability guru for bringing this to our attention through the blog. I have passed this post along to others in the hopes that the firm will serve as a role model in sustainability.